Quality Cup Packaging Machinery offers the equipment to match your budget and meet your requirements. We are committed to providing the highest quality machinery for your demanding requirements. 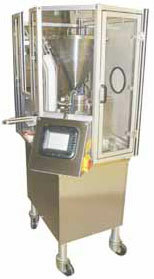 Quality Cup machines are designed to handle a variety of products, including thick yogurts and puddings to thin watery sauces, and even dry granular or powder products.